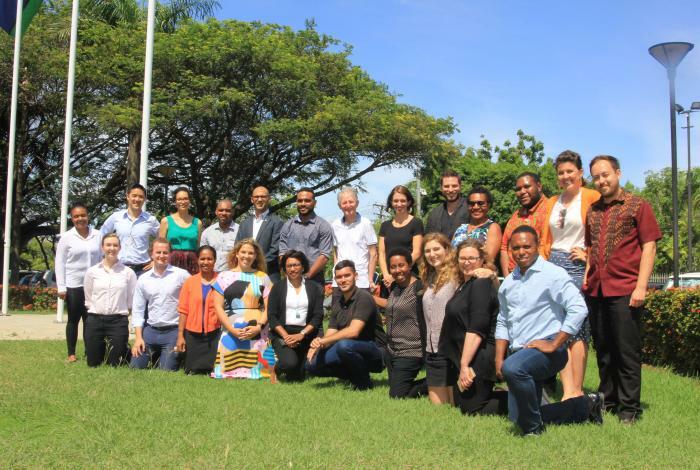 The Lowy Institute hosted the fifth annual Australia–Papua New Guinea Emerging Leaders Dialogue from 12 to 15 December 2017 in Port Moresby, Papua New Guinea. The Dialogue is the flagship event of the Australia–Papua New Guinea Network, an initiative the Lowy Institute runs with the support of the Australian Department of Foreign Affairs and Trade to expand the people-to-people links between Australia and PNG. The Dialogue reflects the significance of the Australia–Papua New Guinea relationship. It brings together 20 dynamic emerging leaders from both countries to discuss common challenges and form new professional connections. The 2017 Dialogue was held alongside the PNG IMPACT conference coordinated by the University of Papua New Guinea and James Cook University. On 12 December participants attended the first day of the PNG IMPACT conference, which looked at the role of research and innovation in societal transformation in PNG, before taking part in the Dialogue from 13 to 14 December. This was the first time that the Dialogue has been held in Papua New Guinea. It was highly successful, and it is proposed that the location of future Dialogues should alternate between Australia and PNG. As in previous years, the program involved not just the formal Dialogue, but also included professional networking opportunities for participants with high-profile corporate, government and civil society organisations, as well as a public reception. Participants developed a number of recommendations, summarised in the next section, to grow links between the two countries and approach important public policy issues. Following the recommendations is a summary of discussions held in each session, written on a non‑attributable basis. The Dialogue was chaired by Osborne Sanida, Director of the PNG National Research Institute, and Anna Kirk, Project Director of the Aus–PNG Network and Research Fellow at the Lowy Institute. A list of participants and observers is provided in the Annex. Anna Kirk and Euan Moyle, an Intern with the Aus–PNG Network, contributed to the compilation of this report. Continue to strive for a bilateral relationship built on the foundation of respect as neighbours and equal partners to foster greater collaboration between our countries. Work to address power balance issues that affect the formation of government-to-government arrangements, such as the Regional Processing Centre on Manus Island, to create agreements that are mutually beneficial for Papua New Guineans and Australians. Ensure the process for gaining dual citizenship now available to Papua New Guineans is clear and that both the PNG and Australian Governments collaborate and consult with Australian citizens of Papua New Guinean heritage who are eligible for dual citizenship. Politics and leadership— through promoting programs such as the Pathways to Politics Program for Women at Melbourne University and the Australian Rural Leadership Program. Civil society— particularly partnerships between NGOs that could provide activism and non-violent protest training, building on existing work such as the Pacific Climate Warriors program run by 350 Pacific. Entrepreneurship— through programs such as ASPIRE, run by the Kumul Foundation in PNG’s schools, with similar programs in Australia, like the AgriFutures Australia program that teaches students in rural and regional Australia about innovation and entrepreneurship in the agricultural sector. Intellectual property— through a partnership between IP Australia and PNG’s Investment Promotion Authority that Papua New Guinean entrepreneurs could access, similar to the partnership between APRA, AMCOS and Papua New Guinean musicians that protects their copyright. Culture— through museum roadshows and partnerships that would allow both Papua New Guinean and Australian cultural institutions to learn different and innovative ways of documenting and exhibiting Indigenous cultures and cultural diversity. Agriculture and traditional foods— through partnerships between agricultural researchers in PNG and rural industries and cooperatives in Australia that recognise the value of traditional foods and the links between health, agriculture and the economy. Sport— including through exchanges between the Australian Institute of Sport and PNG Sport Foundation and holding more Australia–PNG sporting matches in PNG, for example NRL, AFL and cricket. Medical research— with a particular focus on common health issues between Australian Indigenous communities and Papua New Guinean communities. Youth— linking student union bodies such as the Australian National Union of Students and PNG’s student organisations. Engage with actors who understand the context of each country, and the need to ensure that partnerships are genuine and reciprocal for programs to be successful. Support and build on exchange programs at school and university level and explore opportunities to develop public service and professional exchange programs. Expand programs such as Australia’s New Colombo Plan to include both high-level tertiary and vocational students and support them to study in rural and urban areas in Papua New Guinea. Further develop existing university twinning programs, for example through increased numbers of guest lecturers. Encourage Australian universities to provide more scholarships for Papua New Guinean students. In particular, universities that benefit from high demand from international students. Expand existing successful sexual health programs such as ‘stret toker’ in Papua New Guinea’s East New Britain Province, which uses trained volunteers at the community level to increase awareness of sexually transmitted infections and HIV/AIDS. Improve the dissemination of sexual health information in remote areas, with a focus on educating men about women’s health issues. Increase the use of social media to provide sexual health information in PNG that people may be unwilling to seek advice on, for example through the Port Moresby General Hospital Facebook page. Explore engaging both Papua New Guinean and Australian doctors to respond to questions remotely through platforms such as Facebook chat. Develop a centralised electronic health registry system in PNG with standardised data collection mechanisms that make use of affordable technology such as tablets and smartphones. Undertake to use this system cooperatively across both PNG and Australia for health security, in particular for monitoring and addressing the spread of drug-resistant tuberculosis. Encourage the development of telehealth technology and health advice services accessible via mobile phone through government partnerships with telecommunications companies so health services reach isolated areas. Partner with mobile providers to enhance public health campaigns by incorporating SMS and social media messages, while still maintaining the use of shortwave radio to ensure all sections of the community receive healthcare messages. Make use of sports personalities to promote healthy lifestyles, particularly the nutritional benefits of traditional food. Encourage a higher level of consultation with whole communities to give all people a say in urban development, and learn from the lessons of past developments that did not sufficiently engage with local communities. Develop a central geographic database to identify land leases and their locations in PNG to ensure the fair development of land and better dialogue with traditional owners. Invest in low-cost systems that have large reach, for example the Lae police hotline and Whatsapp number, to improve urban safety. Australia and Papua New Guinea share a bilateral relationship that is enduring, complex, and extraordinarily important for both nations. It is a relationship built on the foundation of our shared history but today extends from economics, politics and security to culture and sport. The Australian High Commissioner to PNG, Bruce Davis, addressed the Dialogue participants and spoke about how the relationship is now deeper and broader than it has ever been before. PNG is Australia’s nearest neighbour: only four kilometres of the Torres Strait separate our two countries, and the links between Northern Queensland and PNG are especially strong. The 2017 Australian Foreign Policy White Paper acknowledged that “supporting a stable and prosperous Papua New Guinea is one of Australia’s most important foreign policy objectives”. The modern-day relationship between our two countries has evolved into a strong economic partnership, with close to $18 billion of Australian investment in PNG — more than double some key Southeast Asian nations — and almost $6 billion in two-way trade. Despite significant economic growth in the past decade, PNG has suffered fiscal challenges in recent years due to its economy’s reliance on resources and the global downturn in commodity prices. Media reporting in Australia on PNG is dominated by negative coverage. It is crucial that the perceptions of PNG in Australia evolve to reflect the contemporary strategic and economic partnership. Papua New Guinea faces substantial development challenges. Australia contributes approximately $550 million a year in development assistance to PNG. Although the relationship between our two countries has advanced considerably, the donor/recipient dynamic can at times undermine the relationship. Participants emphasised that for the relationship to move away from this dynamic, Australian support needs to be guided by PNG’s priorities. Participants were also concerned about how the Manus Island detention centre had changed the relationship and queried how much the people of Manus Island had benefited from the arrangement. Australia and Papua New Guinea work together in a number of key areas: expanding agricultural market access for PNG; training and leadership opportunities to promote good governance; and adapting to environmental and health-related incidents such as drug-resistant tuberculosis and agricultural pests. Participants discussed the difficulties many Papua New Guineans face securing visas to travel to Australia, in particular the link to the risk of drug-resistant tuberculosis entering Australia and Australia’s lack of confidence in information flows from PNG’s health systems. There are opportunities for the PNG–Australia partnership to embrace new technologies and digital communications through projects such as the new undersea internet cable to improve health systems, governance, and access to information. The relationships built at the individual, organisational and institutional levels are key to broadening the Papua New Guinea–Australia partnership even further and young leaders in both countries must continue to foster them into the future. In this session, participants discussed the biggest health challenges facing Papua New Guinea and Australia and innovative ways these are being tackled, particularly through the use of technology. Important issues for PNG include tuberculosis and women’s health. Lifestyle diseases such as diabetes are also becoming increasingly prevalent in PNG. Australia also faces these non-communicable diseases while at the same time coming to terms with the health needs of an ageing population. Providing health services to remote and rural areas is a difficulty for both countries. Developing and improving the health systems in our countries by providing the appropriate training for medical students is important to avoid staffing and skill shortfalls. Drug-resistant strains of tuberculosis are one of the most significant health challenges for Papua New Guinea. Often medical attention is not sought until the disease is quite advanced, and its treatment consumes considerable health resources. While treatment is extensive, if sufferers do not complete their treatment they are at risk of developing drug-resistant tuberculosis. The disease is highly contagious and its spread is having flow-on effects in PNG society including preventing students from attending school and families participating in community activities. The disease also poses a significant risk for Australia’s health security, because of the potential for it to spread into the Torres Strait and North Queensland. Participants also identified reproductive, sexual and maternal health as both key health and social issues for Papua New Guinea. Increasingly, young women are coping with unplanned pregnancies because of limited family planning services. Participants felt that more should be done at the community level to increase awareness and access to contraception and women’s health products. Antenatal support during pregnancy is also extremely important. This support should extend beyond health to ensure that women are emotionally and financially prepared for motherhood. Both Australia and Papua New Guinea are concerned about the increase of lifestyle diseases, caused by a number of factors including driving instead of walking, long hours in offices, and reliance on cheap, unhealthy food. Foods that are high in sugar and fat are sold in large quantities to young people and the resulting rise in childhood obesity may mean that the current generation will not live as long as their parents. Participants noted that some populations, for example Indigenous Australians, are more at risk of non-communicable diseases such as diabetes and heart disease and that health promotion campaigns should be designed appropriately to combat this. Programs in Indigenous communities in Australia that bring together traditional understandings of mental and physical health with Western medicine are achieving positive health outcomes. In dealing with these issues in Papua New Guinea, fundamental preventative measures can be taken at the grassroots level. Advocating for healthy lifestyles by promoting the health benefits of traditional food and supporting community gardens could lessen the burden on health services. The Church is a vital way of communicating with people in PNG and public health programs should work with church partners to encourage their community members to have regular health check-ups. Australia and Papua New Guinea are resource-dependent economies and need to balance economic imperatives with sustainable environmental management. They are both facing the negative impact of climate change and need to adapt. Energy is an important issue and participants considered the scope and role of renewable energy in their countries. In PNG increasing migration to urban centres is putting enormous pressure on infrastructure. Participants emphasised the need for sustainable development that does not compromise the natural environment for future generations. Concerns were raised about the impact of climate change from an environmental, social and economic perspective. Increased dredging, run-off from agriculture, and development and erosion of coastal land are having serious negative effects on the Great Barrier Reef in Australia. In Bougainville, climate change has caused significant disruption to coastal communities forced to move inland. These communities, which previously relied on the ocean for food, are now moving into agriculture; however, they don’t have significant skills or traditional knowledge in this area. Papua New Guinea is engaging with the international community to develop its climate change adaptation and mitigation strategies, and to promote resilience and work with affected communities. PNG made an ambitious pledge under the Paris Agreement in 2015 and is working towards 100 per cent renewable energy sources. There is strong political support both domestically and internationally to ensure that PNG has a low carbon future. Land ownership is a contentious issue in Papua New Guinea and there are some parallels with native title in Australia. The large majority of land in PNG is communally held by customary owners. Land is an important resource for economic growth but it can be difficult for the many different stakeholders involved in developments to work together, and the traditional land owners don’t always benefit from these arrangements. In both nations there have been instances when companies have exploited Indigenous land owners, which is highly problematic. Participants suggested that Papua New Guinea could develop a central geographic database to identify land leases and their locations. 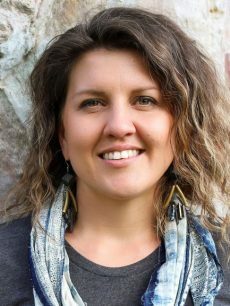 This could help form a more holistic approach to land ownership that allows for the fair development of land and better dialogue with traditional owners to avoid exploitation. The PNG Government and developers must respond to community needs and assist communities to participate in the development process and preserve their traditional knowledge. The growth in rural to urban migration is putting a strain on cities and requires targeted urban planning and forward thinking. In Port Moresby, public spaces are dangerous and infrastructure is geared towards road transport despite the high number of pedestrians. The capacity for urban planning in Papua New Guinea is low, partly because there are limited opportunities for students to study urban planning at university. Participants suggested that Port Moresby needs a comprehensive strategy for urban renewal, to develop safe public spaces and improve service delivery into settlements and outlying communities. Sustainable development depends on inclusive economic growth. This will only be achieved by addressing the structural issues that prevent people from participating in the economy and supporting themselves financially. To improve livelihoods people must be equipped with the education and skills they need to contribute to a changing economy. Women and young people are often significantly disadvantaged in the labour market for a range of cultural, financial and educational reasons. Participants discussed the low levels of financial literacy in Papua New Guinea, where people hold currency in their own home making it difficult to save and plan for their futures. This disproportionately affects women, whose work in the informal economy is often an important income source for their families. However, these same women may not see the profits of their labour because they are unbanked. Entrepreneurship is an important way in which women and young people in both countries can participate in the economy but it can be difficult to access capital to start new ventures. Spreading knowledge of finance sources for start-ups will motivate people to be active in the economy. Both Australia and Papua New Guinea should be working to empower and educate their young people. Young people’s voices are not regularly heard in conversations about the economy, especially those who are not formally educated or did not reach tertiary level education. The cost of education is prohibitive for young people in PNG and participants recognised that many rely on scholarships provided by Australia and New Zealand for tertiary education. Participants were also concerned about the inflation of university credentials in each country and the difficulties new university graduates face in securing work, questioning whether universities were doing enough to prepare students for the workforce. Participants noted the value of opportunities for Papua New Guineans to work in Australia, for example in the agriculture sector which provides mutual economic and social benefits. Australia’s Seasonal Worker Program brings many benefits to both the Pacific Islanders who work in Australia and gain new skills and the farmers who need reliable labour sources. Schemes such as this are beneficial to both economies but also improve bilateral relations and enhance people-to-people links. Automation and technology will impact both economies, especially as globalisation becomes more rapid and widespread. In industries such as manufacturing, automation will cause significant job displacement. However, in some industries such as agriculture, automation augments rather than replaces jobs. 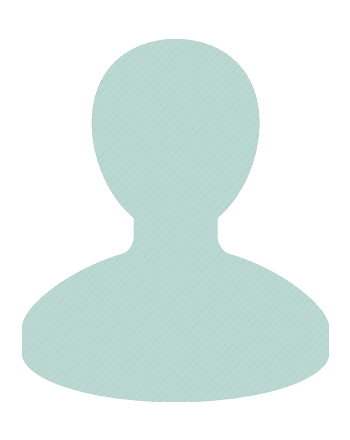 The use of social media is becoming increasingly common in all industries to market and sell goods and services. Technological advancement will give people the chance to explore new job opportunities provided education systems adapt to these new conditions. In this session, Dialogue participants discussed the nature of politics in both countries and recent events, including the 2017 Papua New Guinea national elections and the citizenship crisis plaguing Australian politics. Participants agreed that active political participation allows citizens to affect change and that the media and civil society play key roles in holding governments to account and ensuring the political process is transparent and open. It is crucial that politicians and government agencies remain both accessible to the public and committed to long-term policy implementation. Disenfranchisement and disengagement with the political system are commonplace with young people and women in both countries. In Australia, young people tend to be politically informed but don’t engage with major political parties directly. In Papua New Guinea, women are unrepresented in the current Parliament despite a record number of female candidates in the last election. The rise of social media has allowed people to engage with politics in new ways but the spread of information is now so rapid and unchecked that it is fracturing support for politicians and political parties. A vibrant civil society is important to engage and empower citizens to help them become more involved with the democratic process and hold politicians to account. This was evident during Papua New Guinea’s national elections in 2017, which saw massive voter turnout. However, many Papua New Guineans have low expectations of what their government can provide — in times of social and political upheaval, people return to their villages and look out for themselves. This apathy allows corruption to develop at both low and high levels of politics and the public service. In PNG, there is an important role for national institutions that investigate corrupt activities without significant oversight mechanisms curtailing their ability to enforce or make arrests. In Australia, the scandal surrounding foreign donations to political parties highlighted the need for anti-corruption bodies to oversee political donations. Participants believed that access to politicians is vital to encourage people to get involved in public life and advocate for the issues affecting their communities. In Papua New Guinea, there is a widespread view that MPs are the primary service providers as opposed to policy actors who work to resolve local issues systemically at the national government level. As a result, governments often do not maintain their investments in the long term, but focus on new projects and investments. Participants recognised that public-private partnerships were perceived differently in Australia, where the state is able to manage them, and PNG, where the state does not always have the capacity to manage them efficiently. The Lowy Institute acknowledges the continuing support of the Australian Department of Foreign Affairs and Trade for the Australia–Papua New Guinea Network, and the contribution of our sponsor Bank South Pacific to our events program for 2017–2018. Elizabeth coordinates a multidisciplinary agricultural research program in PNG on behalf of the Department of Foreign Affairs and Trade (DFAT) and the Australian Centre for International Agricultural Research (ACIAR), and has also led the marketing strategy development and implementation for one of the largest citrus operations in WA, Moora Citrus. Elizabeth is a Commissioner for the Agricultural Produce Commission, RRR Women’s Network of WA Board Director, forms part of the Farmers for Climate Action ‘Rural Futures Taskforce’, is a mentor for the Australia Awards DFAT Women’s Leadership Initiative and volunteers on many agricultural advisory groups and committees. She was a Board Director with Australian Women in Agriculture for five years, being elected as Vice President, President and Company Secretary during her tenure. 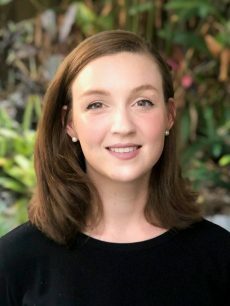 Elizabeth is a Fellow with the Australian Rural Leadership Foundation, was awarded Most Outstanding Emerging Leader at the inaugural Women in Australian Agribusiness 100 in 2014 and was awarded 2016 WA Young Achiever of the Year for her voluntary and community contributions. Dr Patrick Koliwan is passionate about improving health care in Papua New Guinea. 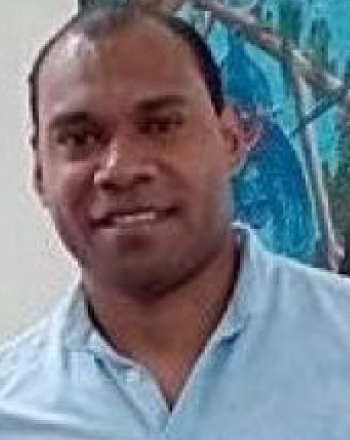 He has served in rural outposts and now works in urban settlement communities tackling some of PNG’s biggest challenges including tuberculosis and maternal mortality. He was a participant in the Australia-PNG Emerging Leadership Dialogue in 2017. 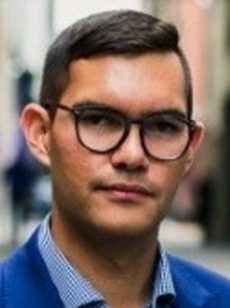 Benjamin Gertz is a public policy professional with experience working in the public sector and non-government organisations, with a particular knowledge of policy challenges affecting Aboriginal and Torres Strait Islander communities, and economic issues relating to Regional Australia. He is also currently studying a Bachelor of Business, majoring in Economics and regional Development, from James Cook University, in Townsville.